Last weekend was a bit crazy, all-over-the-place. 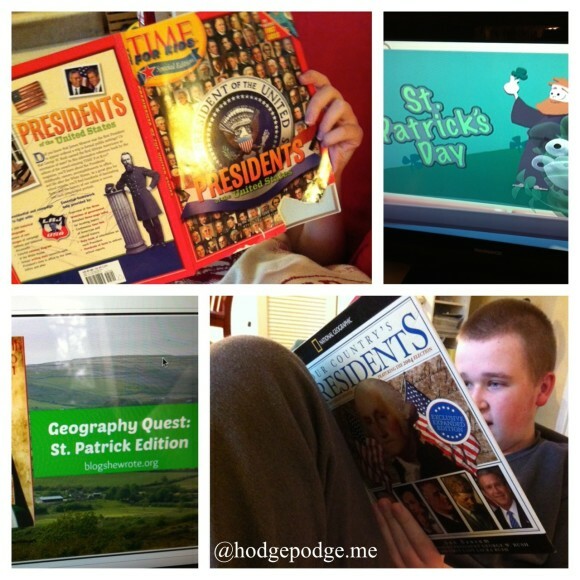 A hodgepodge! So, instead of our usual weekly homeschool planning meeting with all our ages, I filled in their planners for our older three children myself. Doing the planning and writing for each of them made me really realize that we are on the home stretch of March. Folks, this year is almost done! Just HOW do we fit it all in before the end of the year celebrations, performances and general busy time of May?? 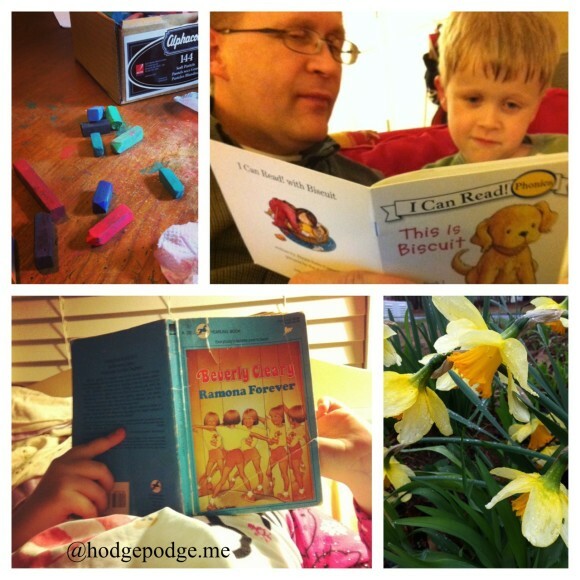 Today, I’m sharing a scattering of our best helpful homeschool habits for fitting it all in. This planning photo I shared on instagram prompted several questions. We start our children with a planner in the middle school years. Roughly age 10 or 11. We used to use the Well Planned Day planners by Home Educating Family. My middle schooler has a Student Planner and my high schoolers keep track of their schedules and assignments in the high school planners. (My full reviews of these plus the Family Planner). 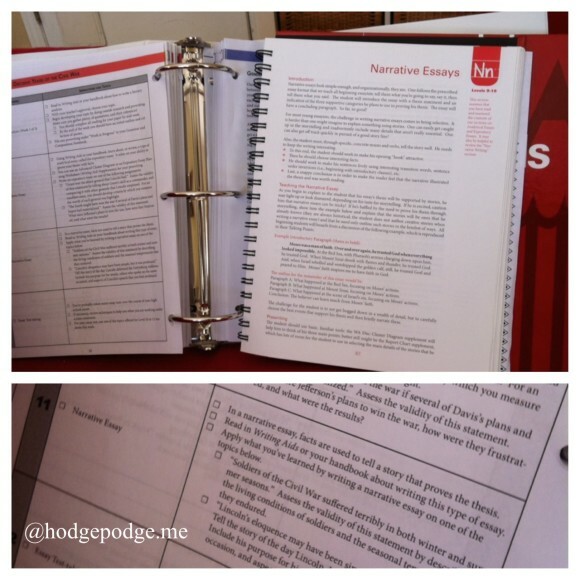 We’ve since fallen in love with A Plan in Place Homeschool Planners and highly recommend these. They have student, high school and homeschool teacher editions. Be sure to check them out at A Plan in Place. I also realized that it was time to order California Achievement Tests from Family Learning Organization. We plan for sixth and ninth graders to test the middle of April either at the tail end of when public school has spring break or at the start. Here in Georgia, homeschoolers are required by law to test in the third, sixth, ninth and twelfth grades. This is such a big helpful habit at Hodgepodge that I shared a whole How to Fit in All the Extras series! 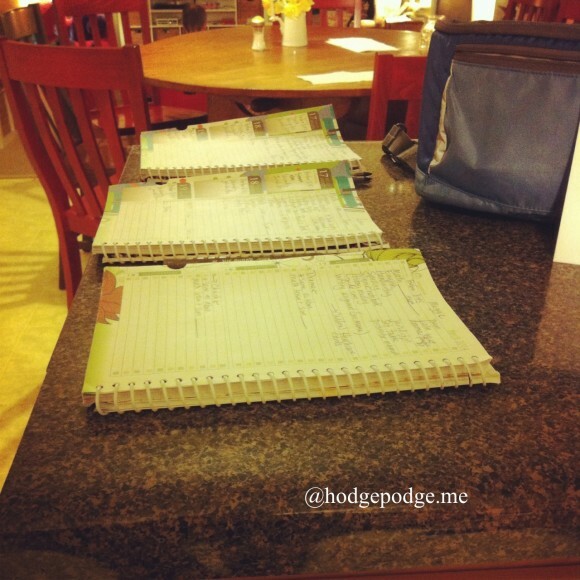 Because those ‘extras’ are really the icing on the homeschool journey – and so very important. Monday afternoon I opened up that Tapestry of Grace binder full of plans. Knowing that I had settled back into my ‘one year of Tapestry of Grace spread out over two years’ comfort zone, I decided we’d spend the entire afternoon on history. And we did. I read the overall plans aloud, hit the highlights. We discussed the literature. The time period. The children read about three presidents in one day. We were immersed in 1825-1850 both in American and foreign history. Plus, since it was St. Patrick’s Day, immediately after lunch, we enjoyed Heather’s Geography Quest, St. Patrick’s Day edition. Topped off with the Veggie Tales story of St. Patrick – it was an amazing day of learning. On Tuesday, the older ones got caught up on reading for high school marine biology and also did some testing. Tapestry of Grace Writing Aids and weekly writing assignments encourage us to write every day. Now that doesn’t happen sometimes. And then we have to fit in the writing. But what is great about Tapestry writing is that all the levels are presented together. This is especially great for a couple of reason: I can team some of the children up on an assignment. And my high schoolers can pick topics from any of the high school level assignments. So, my 10th grader picked the 11th grade assignment simply because the topics appealed to him more. Last Friday afternoon we went to see Mama Ann (my grandmother). 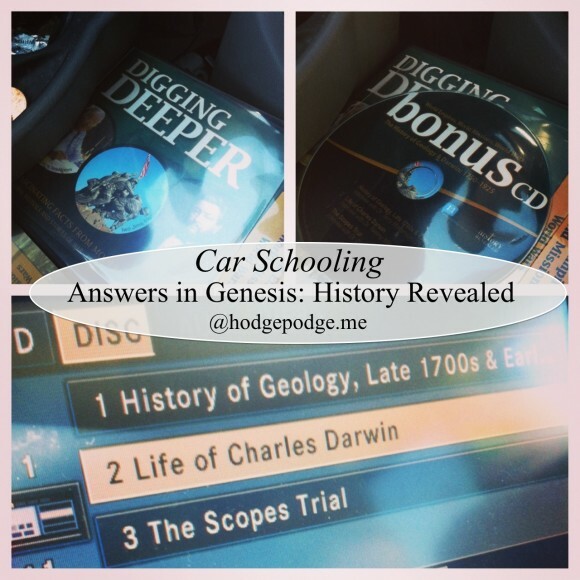 We finished up the basic school subjects then hopped in the car and listened to Answers in Genesis: History Revealed on the way there and back. This prompted some wonderful discussion throughout the weekend! So, did you know that Charles Darwin had a theology degree and his father was a pastor? Nana also stopped by for some more spring chalk pastels we have coming up – plus a special Easter one! We also noticed all sorts of signs of spring in our yard. 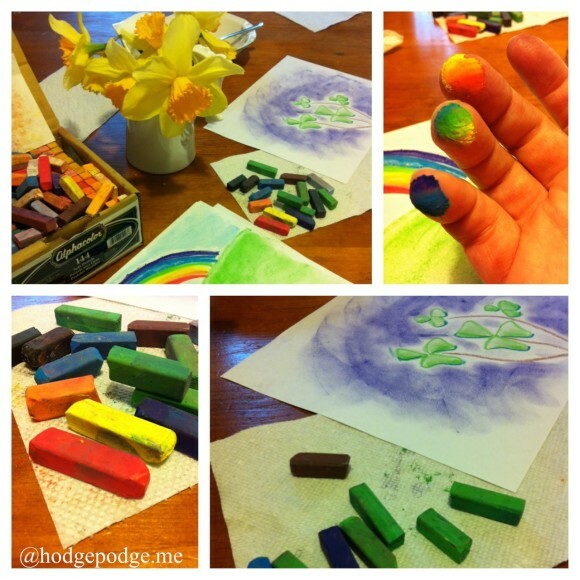 Rainbow fingertips and shamrocks with chalk pastels! Don’t forget! Today is the last day to enter to win one of FIVE bundles of Unit Studies by Amanda Bennett (Spring Surprises and Gardens) – Plus Amanda Bennett is giving away five of our Through the Seasons Chalk Pastel bundles. Enter to win via Unit Studies by Amanda Bennett Facebook page. Trim Healthy Mama: Hodgepodge Style – I have before and after photos of my 22+ lb weight loss and the Trim Healthy Mama adjustments that work for me! Many thanks to our hostesses! Are you feeling the need to ‘fit in’ more homeschool before the end of the school year? What are your best tips? 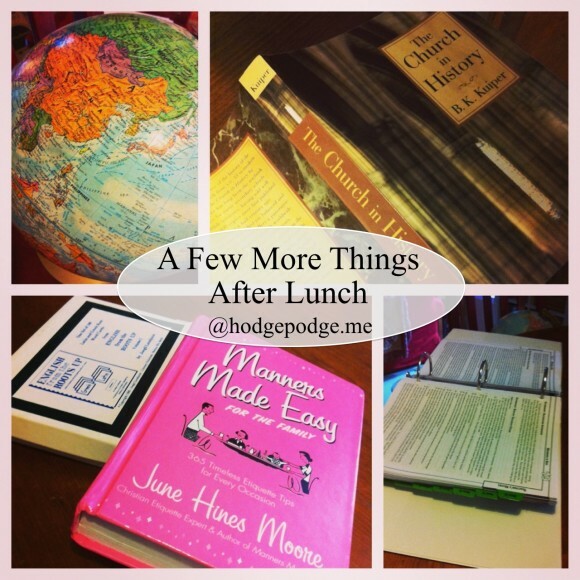 I love the idea of adding just a few more things after lunch. We seem to lose what my Mum would call our “oomph” by about 2pm, but if each person added in just one more thing we’d accomplish a lot more. I’m going to suggest it. Great tips! Thanks Tricia. You are so amazingly organized! No wonder you accomplish so much! I love your balance between the comfort of the regular with the excitement of celebrations. I also love your clover chalk pastels, of course. lovely clovers! I have to be honest and say I ditched the planner completely. I don’t think I’ve written anything down in awhile. Some days that’s good – some days not so much. I just feel chained to it more often than not and do not feel that flow of learning but chained to the clock. 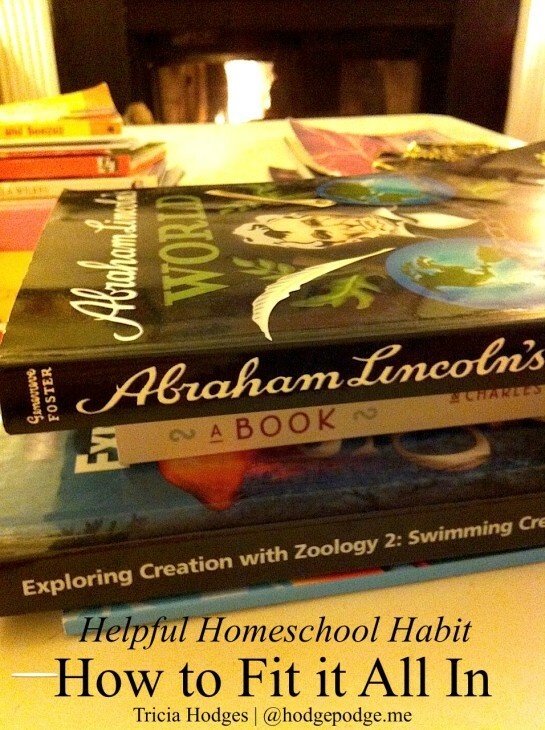 Why homeschool is so great – different styles! Yes, we must all find our groove! These planners have surely helped my older three – especially with the younger two in the mix. Also good way to keep track of math test scores and credit hours. Definitely wouldn’t want to feel chained and yes, thankful for different learning styles. We began with student planners this year, our youngest is moving forward completely in Kindergarten this year (she had a prek/k split set up) and the eldest is in sixth grade this year. We’re using some cheap ones right now (talking a dollar each) that I found and only recording “homework” (a new thing we started right after Christmas). My hope is that by the middle of next year they’re using their own planners for a little more (well at least the eldest and middle child). Yes, it just hit me this week that April is right around the corner!! We have been leaning more toward year-round school (maybe that is just so I don’t freak out thinking we are a bit behind with our schedules). I need to find a good high school planner so I am going to check out the ones you recommended. Schooling on the road! Love it. Visiting from Weird Unsocialized Homeschool Weekly. Thanks for the shout out Tricia! I’m so glad you enjoyed your Geography Quest. With our project oriented schooling these days, we seem to discover all day long. Things have changed so much since our older kids were younger!